TEL AVIV, Israel — An American Quaker group that won a Nobel Peace Prize for its support of Holocaust refugees has vowed to press ahead with its work on behalf of Palestinian rights after Israel said its staff members may be denied entry to the country. The group, American Friends Service Committee (AFSC), is among 20 organizations whose employees could be barred from entering Israel over their support for the Palestinian-led boycott, divestment and sanctions movement (BDS). Over the weekend, Israel published a list of organizations whose workers will not be allowed into the country, based on a law passed in March that aims to bar entry to groups that actively promote anti-Israel boycotts. Comparing the BDS campaign with its support of divestment to fight apartheid in South Africa, the AFSC said on Monday that it has a long history of economic activism. “We will continue our legacy of speaking truth to power and standing for peace and justice without exception in Israel, occupied Palestine and around the world,” the AFSC said Monday in a statement responding to its inclusion on the travel ban list. In 1947, the committee won a Nobel Peace Prize for its support of Jewish refugees. "For 51 years, Israel has denied Palestinians in the occupied territories their fundamental human rights, in defiance of international law," the statement added, referring to an area occupied by Israel since the 1967 Six-Day War that Palestinians hope will one day become part of an independent state. The Israel-Palestine conflict is the only international issue that the AFSC highlights on its website. Its other campaigns are focused on issues affecting the U.S., including ending mass incarceration and defending immigrant rights. Israel’s Ministry of Strategic Affairs, which compiled the list, stressed that decisions on entry bans will be made on a case-by-case basis, and that this isn’t a blanket ban on all members of the organizations on the list. The ministry added that the list was a first draft and the organizations on it could change in the future. The BDS campaign encourages academic, cultural and economic boycotts against Israel and Israelis. 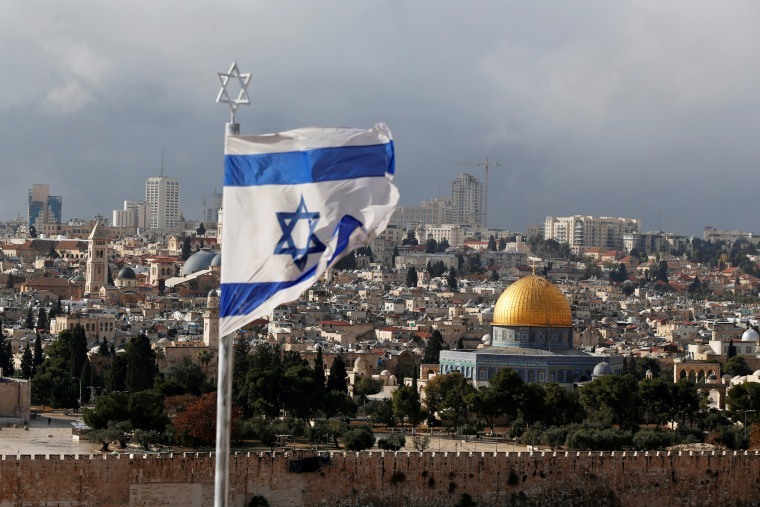 Israeli officials say that the movement aims to undermine its legitimacy and existence as a Jewish and democratic state. Other organizations on the list include the U.S.-based Jewish Voice for Peace and the U.K.-based Palestinian Solidarity Campaign and War on Want. The leader of the U.K.’s opposition Labour Party, Jeremy Corbyn, is a patron of the Palestinian Solidarity Campaign. In Israel, a country known for its lively political debate, most sides of the political spectrum are united in opposition to BDS. In addition to the government’s efforts against it, centrist politician Yair Lapid, the head of the political party Yesh Atid, has also spoken out on the need to counter BDS. “We see something of a competition between various Israeli political figures to show who’s the toughest in countering BDS,” Nathan Thrall, a senior analyst with the International Crisis Group, said. Helping to unite Israelis against the BDS campaign is a feeling that outsiders don’t understand the particular pressures facing the country. The Israeli government’s efforts to combat BDS highlight the movement’s success, according to Omar Barghouti, a founding committee member of the Palestinian Campaign for the Academic and Cultural Boycott of Israel and a co-founder of the BDS movement who lives in Israel. “We’re seeing BDS as a snowball that’s growing and its impact in isolating Israel’s regime… academically, culturally and increasingly economically as well,” Barghouti said. Paul Goldman and Lawahez Jabari reported from Tel Aviv, and Rachel Elbaum from London.